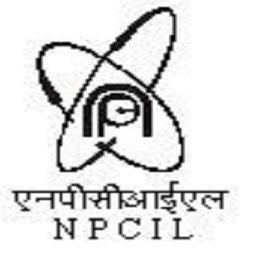 NPCIL a premier Public Sector Enterprise under the Department of Atomic Energy, involved in the Design, Construction, Operation & Maintenance of Nuclear Power Stations/Projects invites applications from qualified personnel for its unit at Narora Atomic Power Station situated at Narora in Bulandshahr District of Uttar Pradesh. Qualification: HSC (10+2) with 2 years Diploma in Pharmacy plus 6 months training in Pharmacy plus Registration as a Pharmacist with Central or State Pharmacy Council. 1. Application (preferably type written) to be sent as per the format provided in this advertisement only. 2. Advertisement No. and Post applied for shall be superscripted on the envelop. 3. A recent passport size photograph should be affixed on the space provided for in the format. 4. Candidates working in Govt./Public Sector Organization should forward their application through proper channel or attach a ‘no objection certificate’ from their employer. 5. Attested copies of certificates in support of (a) Educational qualification (b) Date of birth (c) belonging to SC/ST/OBC/ Ex serviceman (d) Experience Certificate , if any, should be attached with the application. Application duly completed in all respects should be sent to The Dy. Manager (HRM), Narora Atomic Power Station, Post NAPS Township, Narora, Distt. Bulandshahr-202389 (UP) so as to reach on or before 24/10/2011. Applications received after the due date will not be considered. Only INDIAN NATIONALS NEED APPLY. Canvassing in any form will be a disqualification.